Historic India’s tour of Australia ended a few months back. The series will be in everyone’s mind for ages, all thanks to everything that happened there. Firstly, India made history by winning their first ever Test series in Australia. However, the verbal banter between Aussie and Indian also made for an interesting watch. 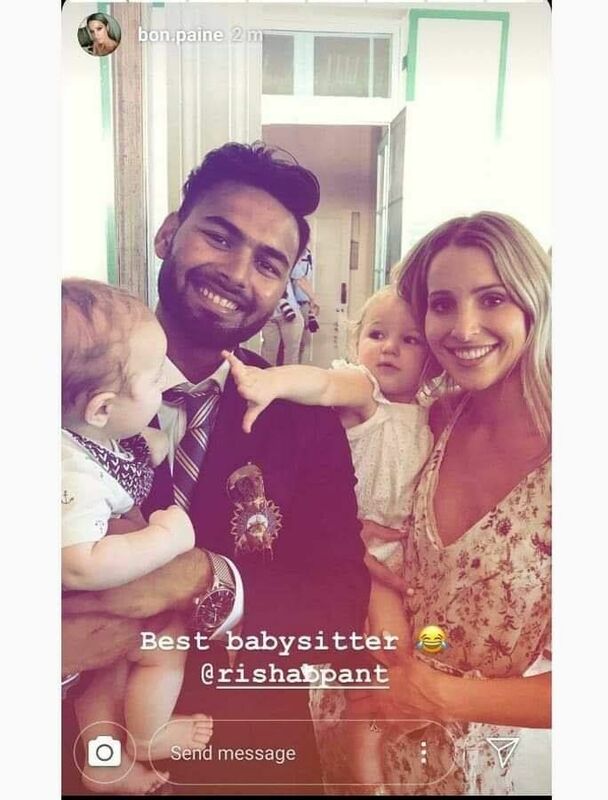 Remember the time when Australian cricket captain Tim Paine asked Rishabh Pant to babysit so that he could spend time with his wife. This comment of Aussie captain was not received kindly by Indian fans. But everything seemed fine between the two when Tim Paine’s wife shared a picture of Pant calling him the best babysitter. We thought that this matter would have been closed by now. However, it doesn’t look that way. The marketing team of Star Sports has used this topic and came up with a huge marketing campaign for upcoming India Vs Australia series. As you all know that Australian Team will be in India later this month for ODI and T20 Series. Star Sports has now released a promo featuring Virender Sehwag. This promo has gone viral on social media and fans are loving the idea behind the promo. Check out some of the Tweets down below. @StarSportsIndia @Virendra_Sehwag baby sitting to him acche se hi karenge….takki unhe hamesa yaad rahe.. Previous article29 Unseen Pictures Of Top Bollywood Stars From Their Modelling Days!